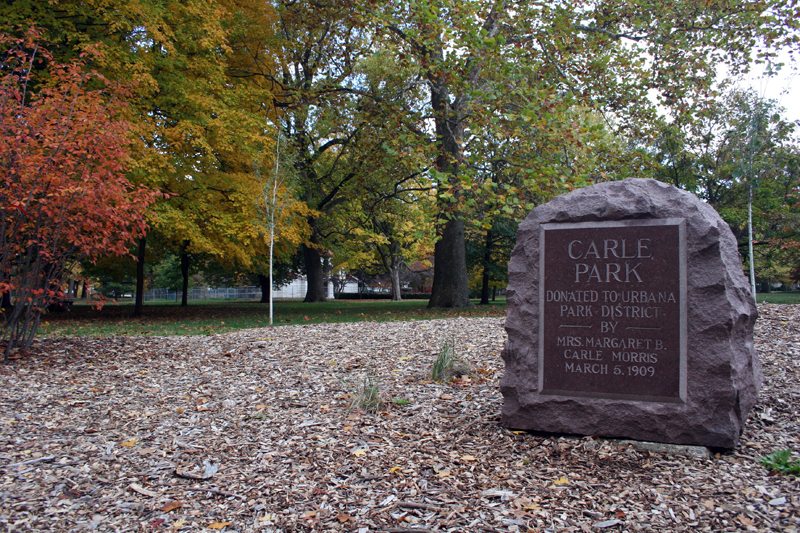 Carle Park is the third-oldest park in the Urbana Park District. It spans 8.3 acres. This 8.3-acre park was donated by Mrs. Margaret Carle Morris on March 5, 1909. It is located across from Urbana High School, along Race and Garfield streets, between Douglas Street, Indiana Avenue and Iowa Street. In addition to this generous gift of land, Mrs. Morris gave $10,000 for beautifying the park with a fountain, statuary and other fixtures. The dolphin fountain and two-story stone pavilion were constructed with this bequest. Mrs. Morris gave the land for the park in memory of her first husband, Albert G. Carle, a pioneering farmer and stockman, who died in 1881. She then married (1884) retired farmer James H. Morris. The park's donation was included in the terms of her thirty-acre land sale to Dr. C. L. Van Doren. Van Doren subsequently platted the "Van Doren Addition to the City of Urbana" around the park and immediately planted ornamental shade trees in the park. Ten years later (1919), Carl and Dora Van Doren sold six lots (Carle Park Annex) in their subdivision, between the pavilion and Race Street, to the park district-creating the park's current configuration. Carle Park's location in a new subdivision that was being settled by "well-to-do" residents and the construction of the new high school (1916) were viewed-as assets to the park. A general landscape plan for the park was developed by J.C. Blair in 1919. It shows a formal axis from the pavilion to the new high school with a drinking fountain placed midway. On the axis to the west is the ornamental fountain leading to a large open meadow surrounded by a circular path. ln the southeast corner is a wading pool and playground with tennis courts separating the play area from the pavilion. In the early 1920s, a statue of Woman's Christian Temperance Union founder, Frances Willard, stood to the east of the pavilion facing Urbana High School. 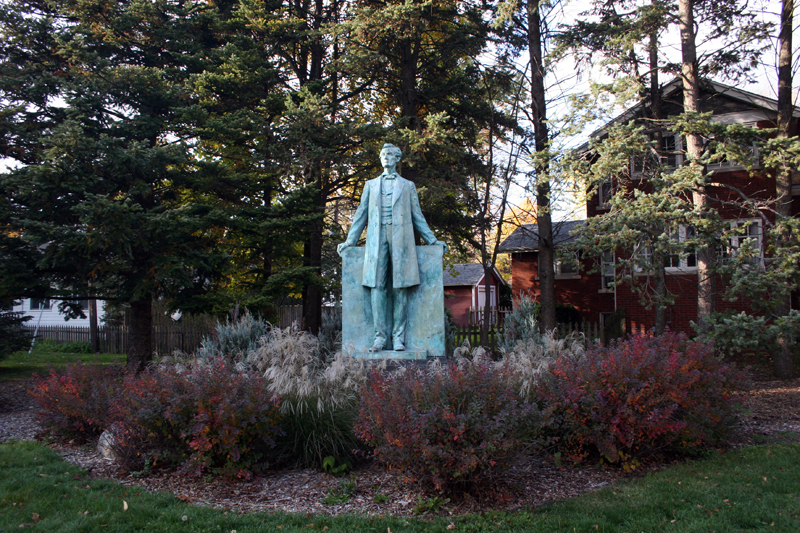 This statue was moved to the park from downtown Urbana, where it stood for thirteen years in the Main/Springfield street triangle in front of the Flatiron Building. When this intersection was widened in 1921, the statue was removed. However, the placement of the Lincoln the Lawyer statue in 1927 in this location relegated the Willard statue to storage; during World War II, the statue was contributed to a scrap metal drive. A 1953 report on the park describes a playground, pavilion with rest rooms, tennis court, and ball diamond. During the 1970s, open-air concerts and folk dances were held in the park. ln 1975, a master plan for Carle Park was developed by landscape architects Robert Callacod and Steve Krog in response to a survey of area residents and park users. Restoration of the pavilion and fountain were among the larger projects to be undertaken in the plan. A new paved sitting area in the Carle Park Annex was designed as a student gathering place, and younger children received two age-appropriate play areas. Along with building restoration, the park was to receive brick paving, benches, picnic tables, flowering shrubs, and additional trees. The park board allocated $15,000 in capital construction money to fund the master plan. The new (1976) Carle Creative Park Play Area was based on Dr. Michael J. Ellis' book, "Why People Play", and other noted theoretical publications on children's play. These theories see play as an arousal-seeking behavior that leads to increasing complexity of both the participant and the play activity. These ideas contrast with prior ideas that play was just an activity to expend energy. Originally, Garfield Avenue bisected the park and separated the larger park from the Carle Park Annex. However, the street was always an issue with residents complaining about speeding and other safety problems. In 1976, a 7-year-old boy, on his way home from day camp at Carle Park, was accidentally killed by a car. The street was then blocked with concrete planters before being permanently removed in 1983 and the area landscaped as a memorial to Peter Rutherford. A variety of plants were noted in the plan, including redbuds, yew, potentilla, burning bush, and grassy areas. Carle Park is probably best known as being the location of Lorado Taft's Lincoln the Lawyer sculpture. Funds for memorial were left in the will of Mrs. Mary Cunningham. She and her husband, Judge Joseph 0. Cunningham, were pioneers in the founding of Urbana and were friends of Abraham Lincoln from his work on the Eighth Judicial Circuit, which included Urbana. Their friendship lasted through Lincoln's death in 1864 and led to their desire to establish a local memorial to him. Carle Park is also the location for the award-winning "Tree Trail," a guide to the numerous tree varieties that grace the park. 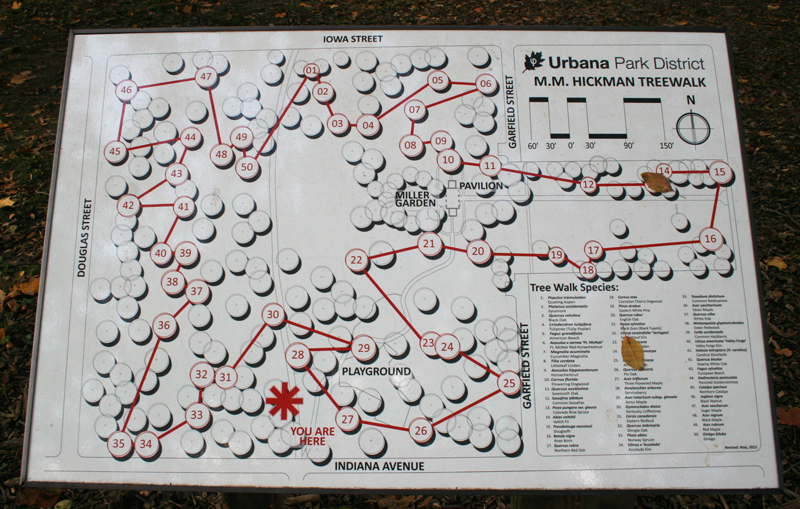 The 1986 guide was published by the City of Urbana Tree Commission in honor of Malvin Merl Hickman (1912-2000). 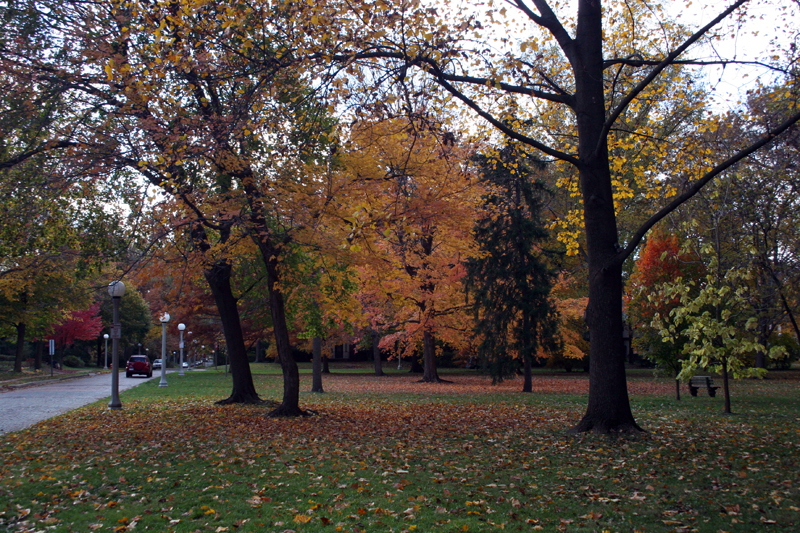 Since 1976, Urbana has been designated a "Tree City USA" by the National Arbor Day Foundation. Carle Park contains a wide variety of trees with more than 41 species identified on the trail, including the state champion oak. The largest English oak tree (Quercus robur) in Illinois is located to the southeast of the pavilion with the second-largest located nearby. They are over 91 and 103 feet tall with circumferences of 12.8 and 10.9 feet. (The largest English oak tree is in Ohio.) 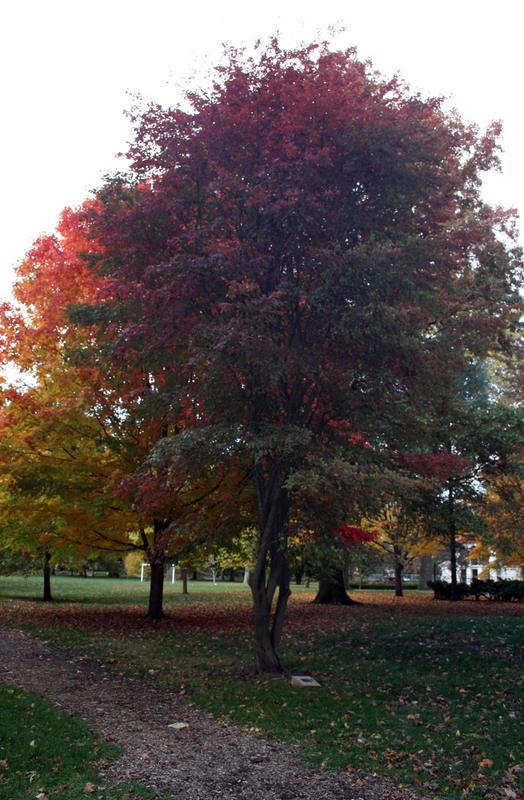 This species was imported to the area and these trees were probably planted by Dr. Van Doren when the park was platted. The tree trail brochure received a Landscape Heritage Award from the Preservation and Conservation Association of Champaign County in 2003. 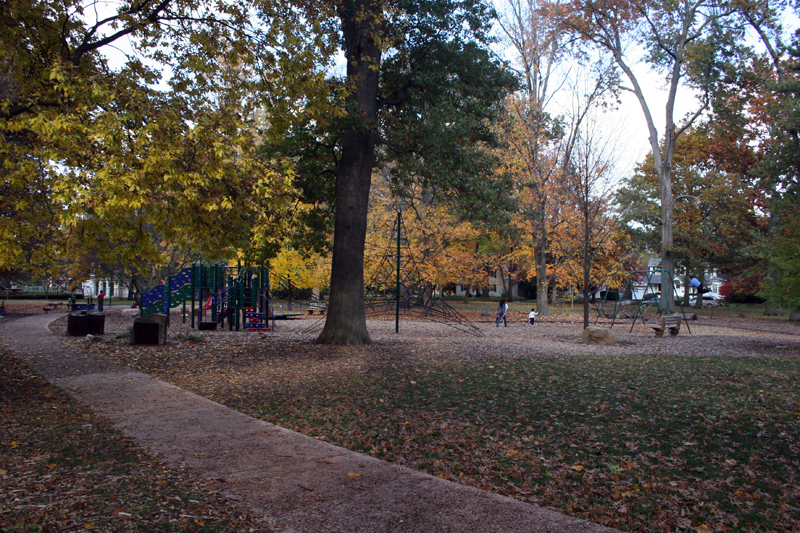 Carle Park is a well-loved and well-used neighborhood park. Its prominent features remain the Lincoln statue, pavilion, and fountain. 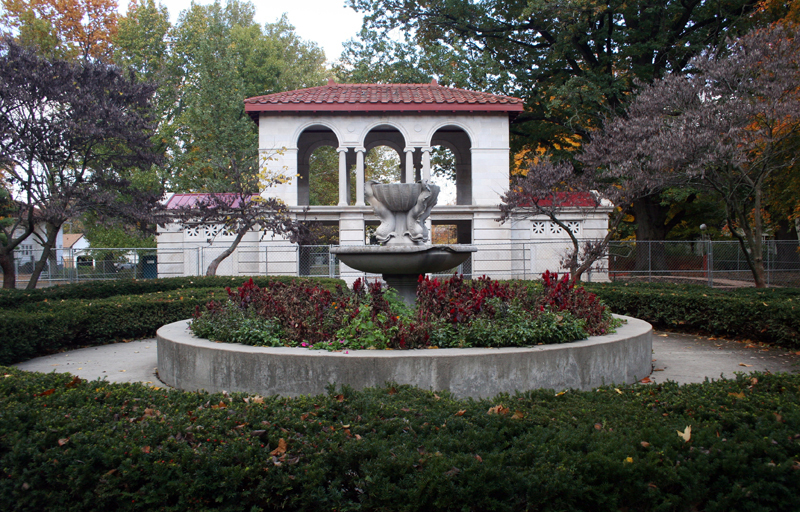 In 1993, the fountain and pavilion were restored and the Miller Memorial Garden installed around the fountain in honor of Dr. George Miller and his family. This work involved the removal of the deteriorated exterior perimeter walks around the fountain, the construction of a circular seating wall and raised fountain planter, and installation of new landscaping. The new landscaping created a twelve-foot-wide planting bed wrapped around the water feature and included thirteen redbud trees, a double circular row of yew hedges and annual and perennial flowers and ground covers planted between the hedges. The raised garden planter combined annuals and perennial plant materials that compliment the ground level flower beds. The park also includes two play areas and a soccer goal. 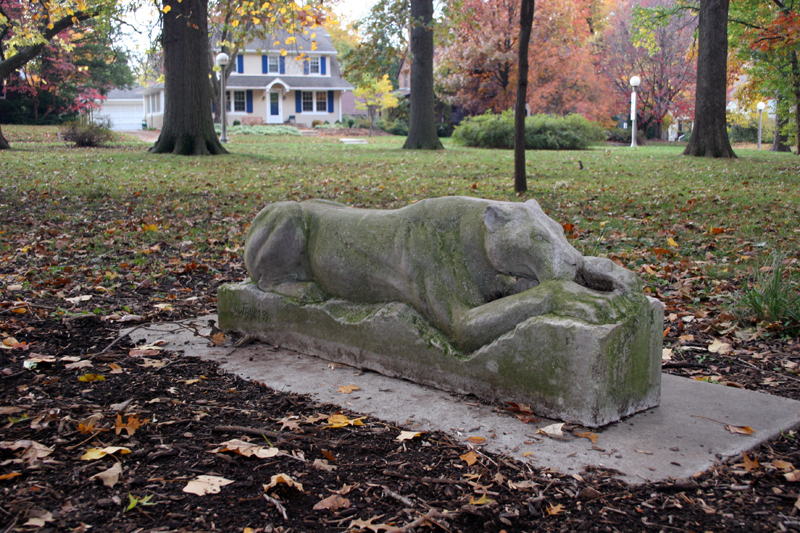 A recent addition to the park (1999) is a carved statue of a prone lion by Todd Frahm. 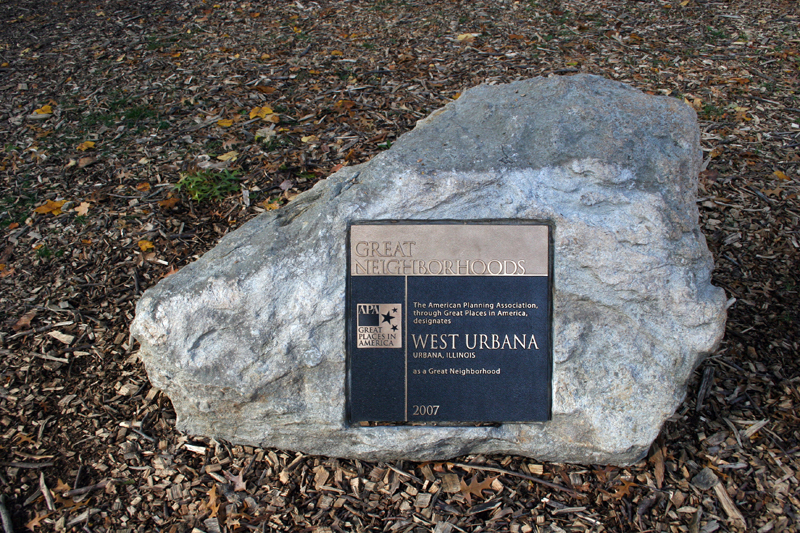 Neighbors began working with the Urbana Park District in 2007 to create a park plan and to work on a design for a new playground. Text from Mancuso, Dana L. (Ed.). (2007). A century of growth: the Urbana Park District's first 100 years. Urbana, IL: Urbana Park District. Lincoln the Lawyer, Carle Park: artist: Lorado Taft dedicated: July 3, 1927 Lincoln the Lawyer, sculpted by Lorado Taft, has been on display in Carle Park for more than 80 years. The statue was made possible by a generous bequest from Mrs. Mary McConaughey Cunningham in 1921. According to her will, a portion of her estate was to be sold and the funds used to create a memorial to Abraham Lincoln. Her trustees were given discretion as to the type and location of such a memorial. joseph C. Blair, then Urbana Park District president, was one of the will's trustees (along with Judge Franklin H. Boggs and George W. Bennett). It was as a result of Blair's influence that a statue by Taft and its ownership by the park district was obtained. The sale of Cunningham's bequeathed property brought only about $10,000-less than half Taft's normal commission for a bronze work. Despite the lack of funds, Blair, who was a longtime friend of Taft from his university days, convinced the sculptor to create a memorial statue of Lincoln. Taft began work in 1924, although he dreaded the thought of being compared with Chicago's famous Augustus Saint Gauden's Lincoln Statue (1887). Instead of focusing on the presidential Lincoln, Taft decided to depict a young Abraham Lincoln as he would have been as a circuit-riding lawyer visiting his friends, the Cunninghams, in Urbana. Writing about his statue, Taft says, "He was not 'the martyred president' all of his life. I need not show him as a man of sorrows, but as an earnest good humored orator, stating his case. I shall model him leaning slightly backward, supported by both hands on an imagined desk." J.C. Blair not only obtained the statue for the park district and the services of Taft as the sculptor, but he also posed for the statue. Taft chose to use Blair as his model because both he and Lincoln were tall and wiry. Together, Taft and Blair visited various Lincoln statues and spent time at the Champaign County Courthouse trying to select a place or position that Lincoln would have occupied while pleading a case. Taft finally chose a pose in which Blair stood tall with his hands a little in back of him on the courtroom railing. According to sculptor Robert Tschaegle, an admirer of the stante, it conveys: "a message of nobility and strength; presents strong silhouettes, imposing frontal and striking three quarters views. The powerfully modelled head is arresting, the sensitive hands are richly expressive. The pose is full of energy and alertness and the arms slightly outspread with hands pressed firmly on the architectural background. It brings the element, the stability of a triangle to the design and fulfills the necessary balance of sculptural restraint and repose." Text from Mancuso, Dana L. (Ed.). (2007). A century of growth: the Urbana Park District's first 100 years. Urbana, IL: Urbana Park District. 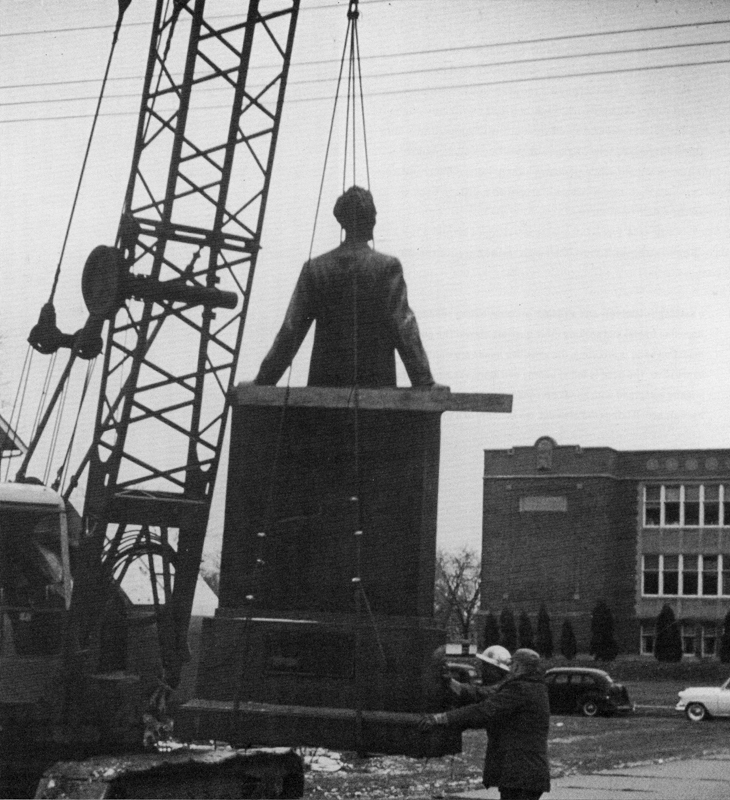 the Taft Lincoln statue being moved to its current place in December of 1955: Image courtesy Urbana Park District Published in Mancuso, Dana L. (Ed.). (2007). A century of growth: the Urbana Park District's first 100 years. Urbana, IL: Urbana Park District. 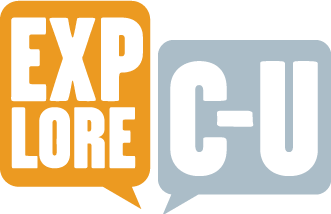 Urbana Park District, “Carle Park,” ExploreCU, accessed April 21, 2019, https://explorecu.org/items/show/129.